The car study was in full force. The children began looking at roads and bridges in different types of books. They were interested in wheels going down the ramps in the block center. We decided to bring in different materials for the children to investigate ramps and pathways. My co-teacher found an awesome book published through NAEYC called Ramps and Pathways. I went on Pinterest and found ideas to bring in as well. We went to lumber store and bought the molding and guttering to cut into different links. The lumber store gave us carpet tubes to use as tunnels. 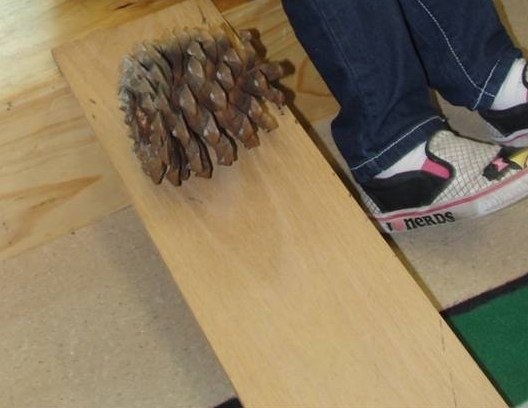 We brought in marbles, balls, and wheels for the children to explore ramps and pathways. They put the molding inside tunnels. They discovered that a gradual decline was better than a steep one. They had the marbles dropping from one track to another track without them falling off the pathway. 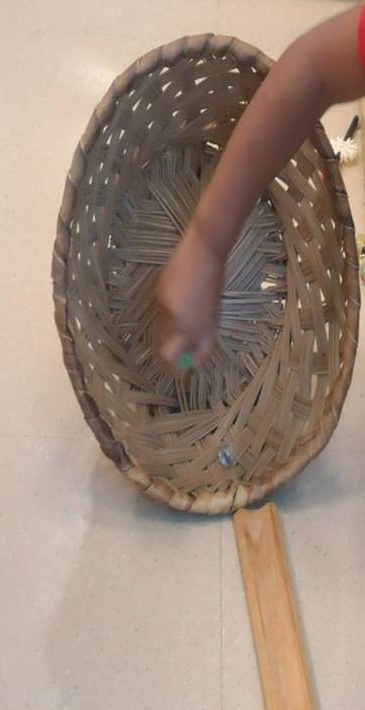 They discovered if there was nothing to stop the marbles at the end of the tunnel they would have to go all the way across the room to find their marbles. My husband (my best resource) gave me some thin 4 inch boards to use as ramps. We worked with the ramps for a couple of days. I asked a question in morning meeting, "Do you think other things in the room would roll down the ramps?" We went in search of different objects they thought would roll down the ramps. Then I posed the question, "Do you think different surfaces will make the cars go faster?" 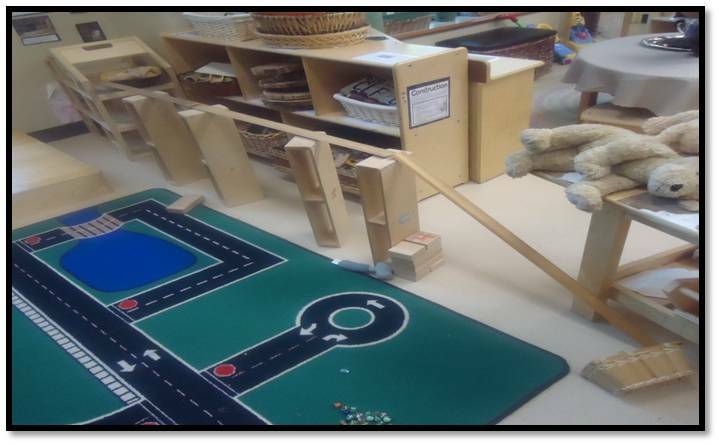 The children looked through the cabinets and found different materials to but on the ramps and explored which made the car go faster or slower. 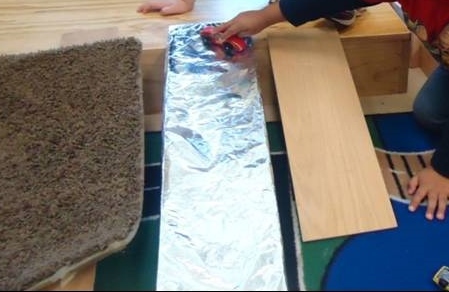 They found out that the ramp with tinfoil was the best for making cars go faster. They used stop watches and measured how far the cars went on the different surfaces. We also used foam mats, sandpaper, cellophane, and wax paper. 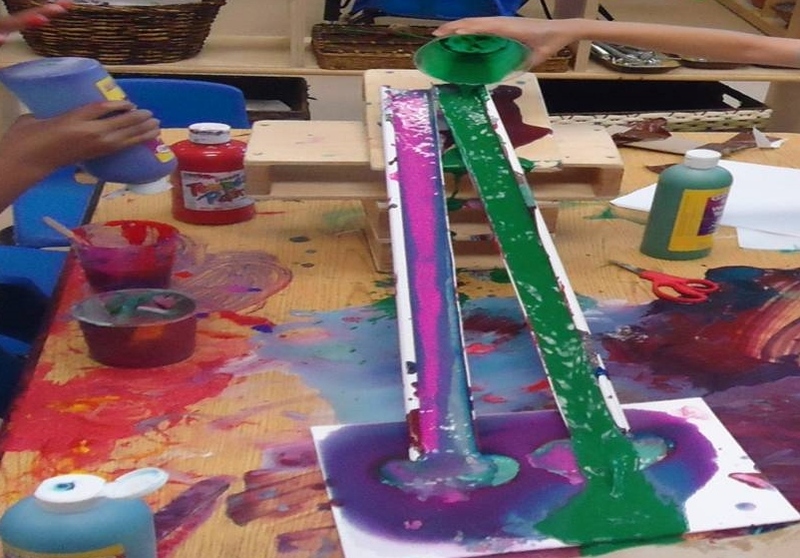 We worked with paint and water on the ramps to further explore ramps. We began with just squeezing the paint onto the ramps but the paint traveled really slow. 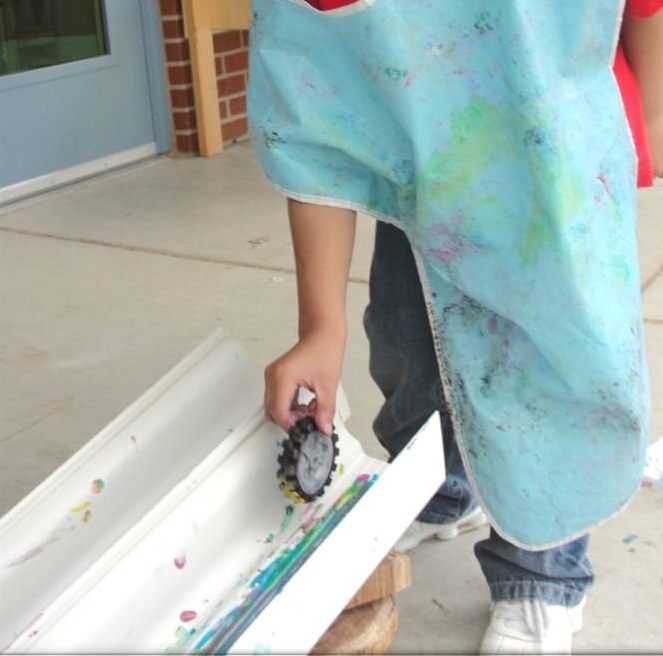 One child said, "Let's put water in the paint." 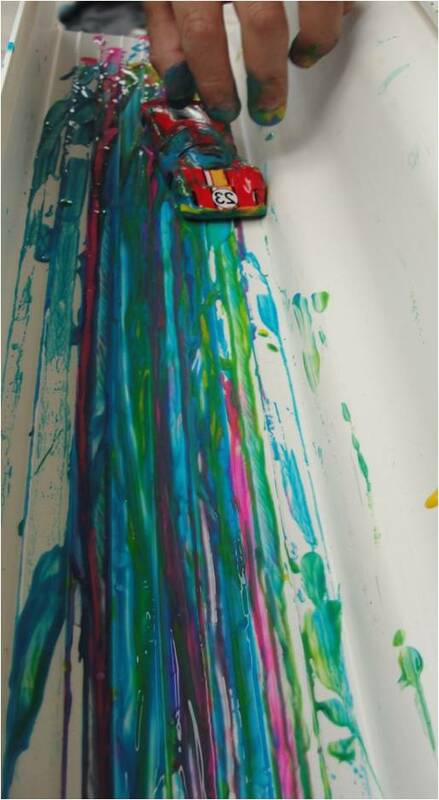 They added the water to the paint and it traveled faster. They thought the color mixing was a cool concept as well. We had the most fun ever. We took the gutters outside to explore different objects and what kind of tracks they would leave on the paper. 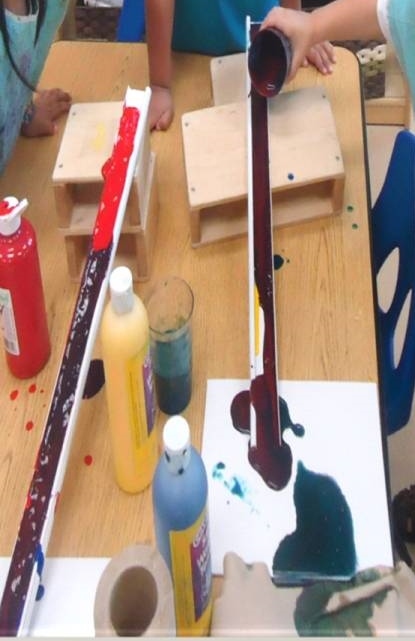 They dipped different objects in the paint and rolled them down the ramps. The construction of pathways were continually worked on through out the year. The children that was in my class that year were driven by learning about connections and pathways.